This is the review of the „Profit Trigger“ binary options scam. The Profit Trigger System has a very simple and short presentation. 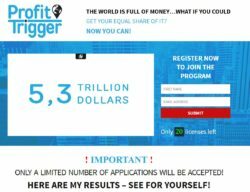 An anonymous guy says that he found a way to take a tiny portion form the earnings of the big boys who make millions of dollars every day on Forex. He does it with his trading software called Profit Trigger. Now he is offering it to 20 people for free. Those who join him should allegedly make $1,060 per day with this app. There is a one year trial period, then the software will cost $2,500. Nothing to do with binary options. The Profit Trigger System is an obvious scam. Its only purpose is to make you deposit with a selected binary options broker, because it will earn an affiliate commission to people who created this scam. This is why they can give away for free any crappy software they want, they earn money when you deposit. So they don’t care that you will lose your deposit in trading with their software. As you can see the Profit Trigger has a completely anonymous presentation, this should be a big warning sign. Then you can see some trading results that allegedly were achieved with the Profit Trigger System. 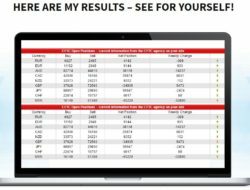 But this system is about binary options and the results you are shown have nothing to do with binary options. And when you sign up, you are immediately redirected to a deposit page of a binary options broker. This proves what we are saying about this scam, its only purpose is to make you deposit money. Profit Trigger is a scam. They want you to deposit and risk money with an anonymous and losing system. 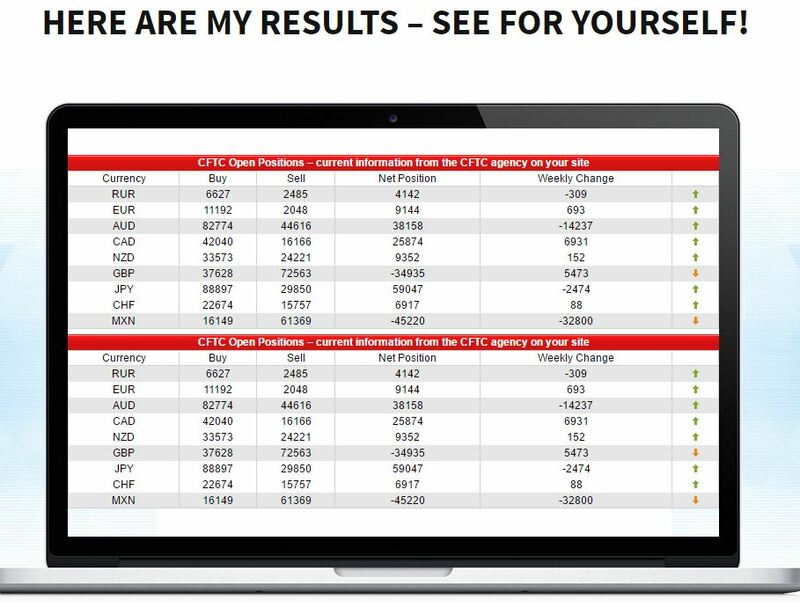 If you want to try binary options to see how they really work and how you can make money in trading, get a free demo account. Don’t trust anybody who promises you money but asks for your deposit first.